“Organ Master” is the main device for the control system for pipe organs. 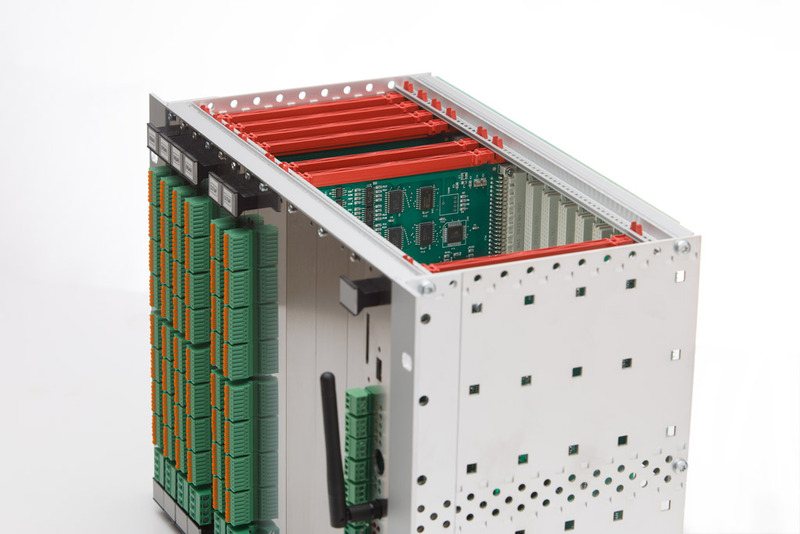 It is essentially composed of a modular rack frame with a central processor unit capable of connecting to the various interface devices and the input / output control systems required, for the operation of the organ. The master unit can be of various sizes to suit the number of inputs and/or outputs needed. Input cards are of two types: positive or negative in order to read both types of inputs. Input cards have 64 input channels. The connections are made with fast spring removable connectors directly installed on the front panel. The output cards are positive (negative common) with 64 channels each. The outputs are protected against overloads and short circuits. The connections are made with fast spring removable connectors directly installed on the front panel.